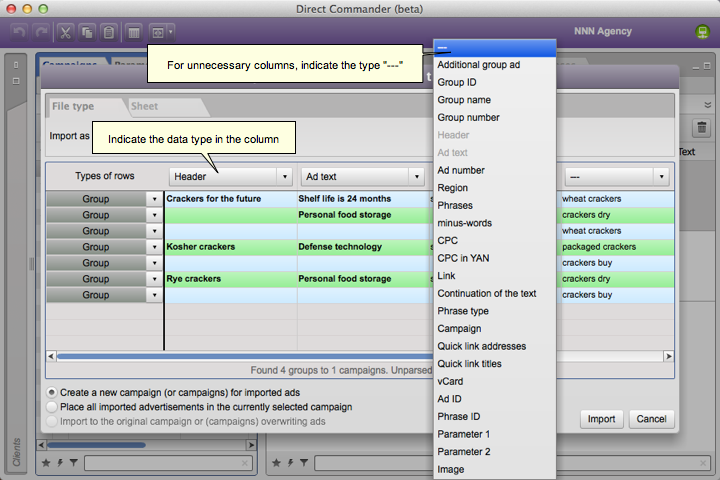 If you are an agency representative, select the client for whom the campaign is being created in the Clients tab. Click the button in the Campaigns tab. Select the necessary file in the standard Windows dialog window. Open the file in the appropriate program. Copy the ads to the clipboard (Ctrl+C). The Import campaigns window will open. If “unreadable characters (mojibake)” are displayed in the window, go to the Language tab and select the correct coding. Indicate the data types in the columns. Check that the data recognition is correct. Rows that contain known incorrect values (such as letters in the “Bid” column) are highlighted in pink and cannot be imported. Attention. 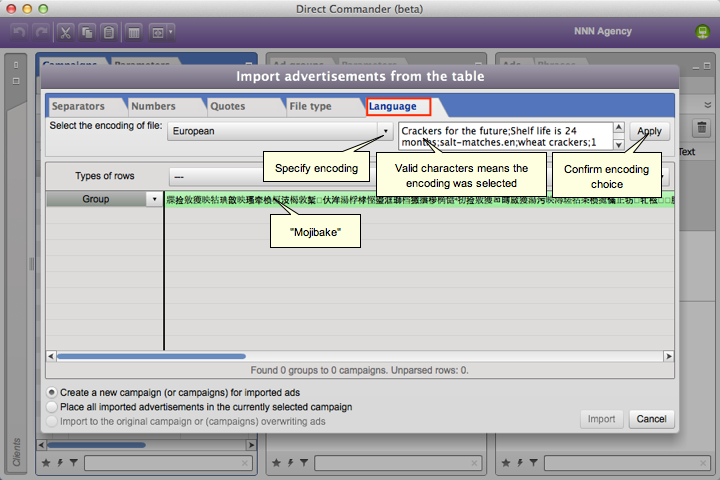 In some cases, more precise import parameter settings may be required for the ads to be correctly recognized. 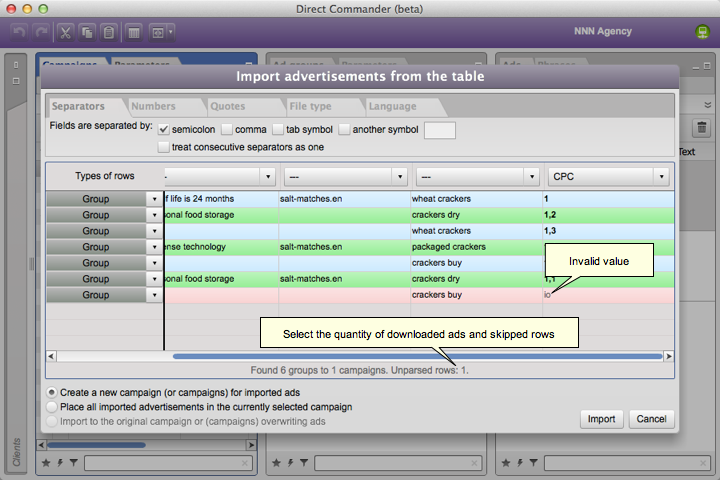 Select the uploading option Create new campaign (or campaigns) for imported ads. Wait until the ad upload is completed. The icon means that not all required parameters have been entered (for example, you didn't set a bid for a keyword) or some parameter values are invalid. 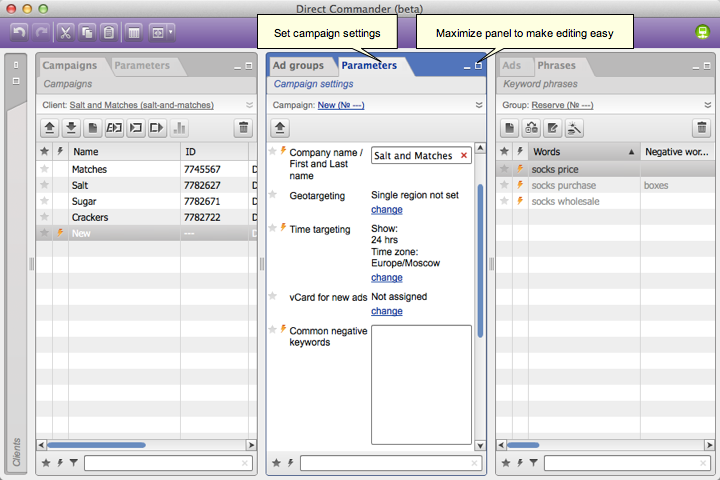 Edit the parameters for these groups, ads, or keywords. 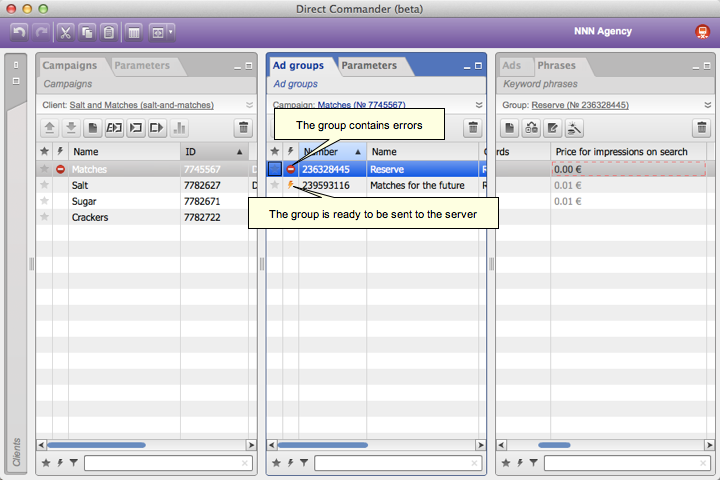 Go to the campaign parameters tab and specify the necessary settings. 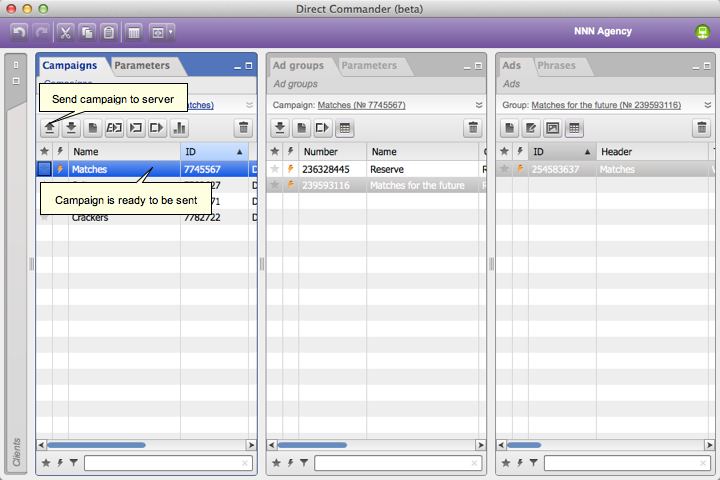 Send the created campaign to the Direct server. 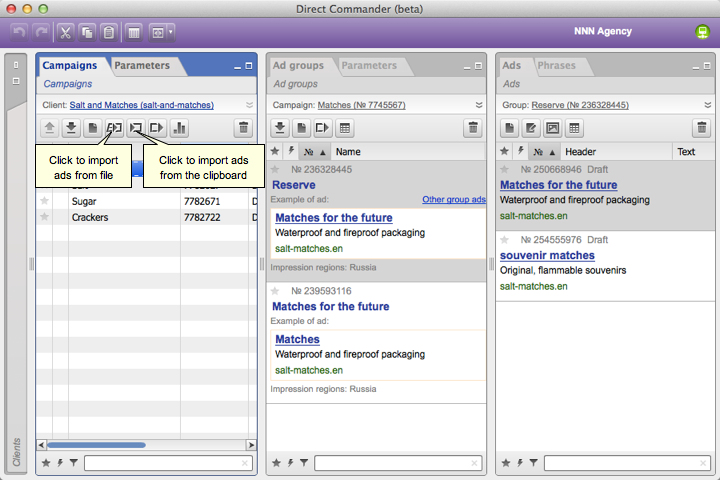 You can export several ad campaigns to a single CSV file, make changes to them, and import them back. When doing this, all ads in the corresponding campaigns will be rewritten, including in campaigns which only exist locally in Commander and haven't been saved on the server yet.